Two mismatched young butterflies foes develop an unlikely friendship and come to rely on each other during the long and perilous annual butterfly migration south. 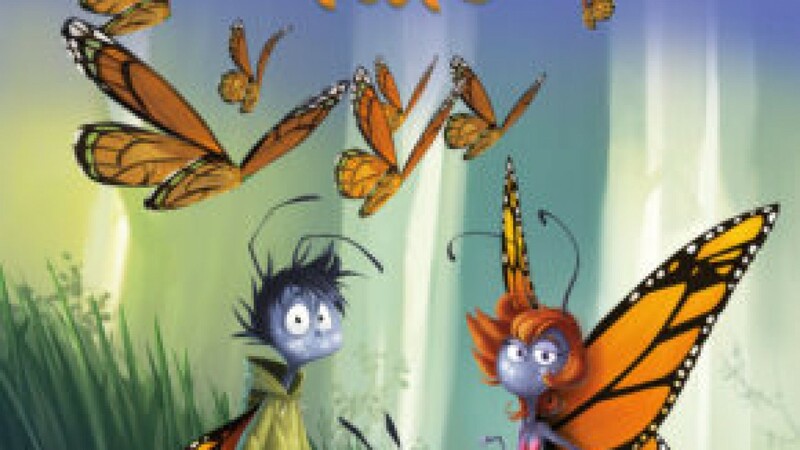 It is the tale of a faulty-winged butterfly named Patrick who learns to accept and triumph over his physical limitations, and Jennifer who learns that it’s what’s inside that matters. Pink Parrot is proud to announce the co‐production of the animated feature Butterfly Tale – a project between CarpeDiem Film & TV Inc. (Snowtime! 1 & 2) and Ulysses Films (Oops Noah is Gone…., Luis & the Alien) – while managing the movie’s worldwide sales. The animated feature will be ready by the end of 2020. Pink Parrot is now seeking presales for the film. Pink Parrot Media announces as well a new acquisition to it’s worldwide line‐up „What A Circus!“ an animated feature produced by LABEL ANIM French Producers, to be ready by early 2021. This crazy animal‐based story will bring great joy to the whole family. Also Pink Parrot Media brings to the Cannes Film Market ARJUNA, a wonderful 3D animated film inspired by the Ganesh and Arjuna tales from India. A coproduction between France (Favola Films) and Canada (CarpeDiem Film& TV). During the Cannes Film Market, Pink Parrot Media has packaged the coproduction between France (Favola Films) and China for the 2D stereoscopic movie Leaving the Nest. The film tells the story of Max and his daughter Chloe, who shares the same foolhardy dream: to fly free as a bird. Pink Parrot is now looking for presales. About Pink Parrot Media:A new international sales agent company focusing on animated and liveaction family entertainment with offices in Montreal and Madrid. The focus of this new company will primarily be CGI animated features. Animated television series, live action family features or series will also be part of Pink Parrot’s acquisitions especially if they are linked to any brand or feature film. The purpose of this company is to give producers a place where they feel comfortable and certain that their projects are considered, promoted with passion and handled on a personal base. Pink Parrot Media participates in all major market for film and television. It has an office in Montreal and in Spain to welcome you. At Pink Parrot Media, we take care of your projects with heart because we know that you put yours into it.